British and US researchers have made a breakthrough in the study of leprosy - explaining for the first time how the disease causes its damage, it was announced last night. The research shows that the Mycobacterium leprae disrupts the immune system, leading it to destroy the myelin sheath protecting the nervous system. 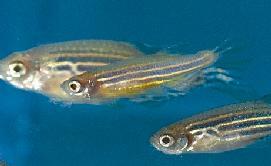 The study, based on research on zebrafish, is reported in <i>Cell</i> by researchers from Cambridge University, UK, and in the USA, Harvard, UCLA and the University of Washington. The researchers found that macrophages in the immune system consumed the bacteria but sometimes failed to destroy them. This led the macrophages settling on the nerve fibre and destroying the myelin sheath, rather than repairing damage. Researcher Professor Lalita Ramakrishnan, from Cambridge, UK, said: “The leprosy bacteria are, essentially, hijacking an important repair mechanism and causing it to go awry. The researchers are unsure whether their findings can be used to improve treatments. Professor Ramakrishnan said: “At the moment, leprosy can be treated by a combination of drugs. While these succeed in killing the bacteria, once the nerve damage has been done, it is currently irreversible. We would like to understand how to change that.